Please inquire about other costs such as specific lab work or vaccines. * - Concierge Critter Care home visits are $39 for the Connecticut locations of Milford, Orange, West Haven, Stratford, Derby, Shelton, Ansonia, Hamden, Seymour, Monroe, Trumbull, and Woodbridge. 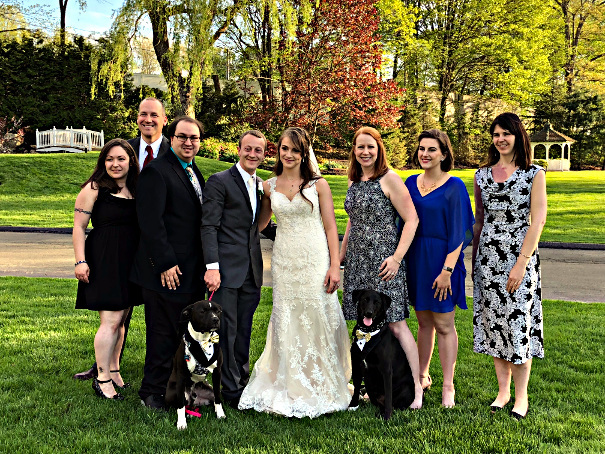 River Valley Veterinary Hospital is a provider of Concierge Critter Care hospital and home visits for dogs and cats with Christopher Celentano, DVM and Melissa J. Moore, DVM. Mobile vet home visits for dogs and cats are available in the Connecticut locations of Milford, Orange, West Haven, Stratford, Derby, Shelton, Ansonia, Hamden, Seymour, Monroe, Trumbull, and Woodbridge. In addition to our existing premium mobile veterinary care service, our new hospital facility, located at 88 Sodom Lane in Derby, CT, first opened on Monday, August 21, 2017. Dr. Moore and Dr. Celentano performs all of their surgeries in our in-hospital veterinary surgical suite. At River Valley Veterinary Hospital, all veterinary dental procedures are also performed in-hospital. We offer in-hospital veterinary digital x-rays, in-hospital digital veterinary dental x-rays, and an in-hospital ultrasound machine. Please remember to refresh your browser to make sure you are seeing the latest news updates. Today, we welcome, Nina, as the newest Veterinary Technician to join our River Valley team. We all all thrilled to have her joining us. Please visit our About Us page to learn more about Nina and the rest of our team. Starting this week, River Valley Veterinary Hospital will now be open on Thursdays until 6:00pm. On Mondays, we will now close at 5:00pm. River Valley Veterinary Hospital will be closed today to allow the team to enjoy Christmas Day with our friends and family. We will re-open at 8:00am tomorrow and the hospital will be open until 5:00pm. Our team at River Valley is very excited to announce tomorrow, we will be joined for the first time by Krystal, our newest Veterinary Technician. Please visit our About Us page to learn more about Krystal and the rest of our team. Happy American Labor Day! We hope everyone has enjoyed a long holiday weekend. Today marks the end of the "cultural" summer. We are taking advantage of this annual milestone to let everyone we are going to be offering 4 laser therapy sessions, at no additional cost, to any of our patients, when either Dr. Celentano or Dr. Moore recommend laser therapy as part of their treatment plan. River Valley Veterinary Hospital and its veterinarians are well known for providing multiple treatment options to clients where possible, and explaining those choices in an understandable way. Naturally, we want to make this newly available option as easy as possible for those clients whose critters can benefit from laser therapy as part of their treatment plan. Any laser therapy treatment started by our clients on any day in September 2018 will have 4 laser therapy sessions at no additional cost to them. Today is the first anniversary of our hospital facility opening its doors to our clients and patients. What an amazing year it has been for us, at River Valley. Thank you to all of our clients! It is you who make it possible for us to improve the quality of life for so many animals through the best veterinary care we can provide to them. We can't wait to see what next year brings for us. This is a very important week for River Valley Veterinary Hospital. Last year, this week in August, we first opened our hospital facility to expand our existing Concierge Critter Care home visits for even more veterinary care options. To celebrate this anniversary, we wanted find new ways to improve our ability to care for our patients. We are happy to announce, we now have an in-hospital ultrasound machine to assist us with diagnostics, in addition to the scheduled visits of a board certified veterinary internist. For the first time, we are able to expand our offerings to include a therapy option. River Valley now has an in-hospital laser therapy machine. The main advantage of having such a device in our hospital is being able to provide our clients with another option for caring for our patients. Expert pain management is a delicate balance of providing comfort and minimizing side effects that can have long term implications. Laser therapy can be integrated into a patient's treatment plan to potentially increase comfort, reduce side effects, and decrease healing time. River Valley is well known for providing suitable treatment options for veterinary care, guiding clients as to benefits and complications of those options, and helping to then manage the care for patients. Laser therapy is one more option, and we are thrilled to be able to provide it to you starting this week. We cannot think of a better way to celebrate our one year hospital anniversary than to bring these new capabilities online to improve the care of our patients. We are closed today in observation of Independence Day. Please enjoy the holiday. We will open at 8:00am tomorrow, July 5th. Happy 2 Year Work Anniversary to Tiffany! Two years ago today was Tiffany's first day with River Valley Veterinary Hospital. We started Concierge Critter Care Home visits the very next day. Enjoy the holiday. Congratulations to Johnny and Tiffany on their wedding day! May your journey together bring you all the happiness you both deserve. Not only is Johnny's and Tiffany's wedding Disney themed, they will also be enjoying their honeymoon in, you guessed it, Walt Disney World. RVVH team with Johnny, Rocco, and Wilbur. River Valley Veterinary Hospital wishes everyone a healthy, happy, safe, productive, and prosperous 2018. We all look forward to making 2018 an even better year for improving the lives of all of our animals through better veterinary care. We are so happy to have you all joining on this continuing journey in 2018. Merry Christmas to all of our patients and their wonderful family and friends. River Valley Veterinary Hospital will be open tomorrow, December 26, 2017 at 8:00am. Today, we celebrated our hospital facility being open 4 months. We also prepared to welcome our newest veterinary technician to our team. Dorie starts her first day tomorrow, and we are very excited to have such a wonderful technician join our already excellent team. Please visit our About Us page to learn a little bit more about Dorie. Since our facility opened, a little more than 3 months ago, we have been able to help so many additional patients each week. We are continuing to work on implementing the best programs, such as Fear Free, for the benefit of our patients, as well. In early October, Dr. Moore became a American Association of Feline Practitioners (AAFP) member veterinarian. On November 21st, 3 months to the day of our hospital facility opening, we were informed River Valley Veterinary Hospital had achieved silver level status as a Cat Friendly Practice. We are very pleased to be able to showcase this program in our hospital. The Cat Friendly Practice Program was created by the International Society for Feline Medicine (ISFM) and the American Association of Feline Practitioners (AAFP). We will be sharing more information about the Cat Friendly Practice Program in the coming weeks and months. Today, was Dr. Celentano's first day working at River Valley. Lots of critters and folks got to meet him today, but if you haven't met him, yet, you can learn a little bit more about Dr. Celentano on our About Us page. Happy Thanksgiving to everyone! We will be open a full day this Saturday (11/25). Our first associate veterinarian will start at the hospital this Monday (11/27). With all of the new clients switching to River Valley, it is extremely important to us to make sure our team can provide the exact same standard of care for all of our patients. We can't wait for you to meet our new vet. We know you will be as impressed as we are. What better way to celebrate your birthday than by taking a early morning team photo? Happy Birthday, Dr. Moore! 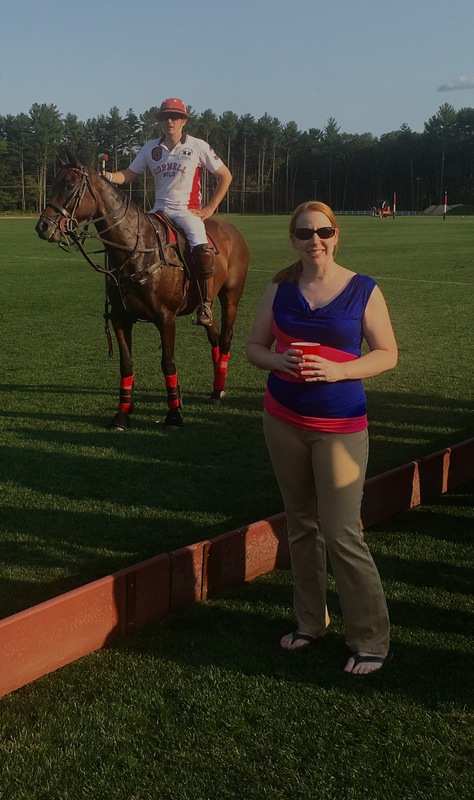 Today, we spent some time with our good friends, Jocelyn (Credentialed Veterinary Technician) and her husband, Andrew (Veterinarian), seeing animals a little different than cats and dogs, as we attended our very first polo match to watch Andrew play. It was a lot of fun on a beautiful weather day in CT.
Last Friday, our first surgery performed at River Valley was a fantastic success and most likely an historic event. We are fairly certain small animal veterinary surgery has not been performed in Derby, CT in decades, if ever before. Today, in addition to celebrating Labor Day, we welcomed our newest employee whose first day of work at River Valley Veterinary Hospital was a paid holiday. Please join us in welcoming her to our hospital! Our first day with in-hospital appointments was very successful. We opened our doors at 10:00am for our first scheduled appointment of the day. It was fantastic to begin welcoming clients and patients to our new home after more than a year of you welcoming us into your homes. Dr. Moore will begin offering surgery at River Valley Veterinary Hospital on September 1st. Please call or email for the surgical estimates and to schedule those surgeries. River Valley Veterinary Hospital's facility in Derby will OPEN at 10:00am on Monday, August 21, 2017. The hospital will have a limited schedule by appointment only as we work to integrate the Concierge Critter Care home visits and the Concierge Critter Care hospital visits to best accommodate everyone. Our current schedule for opening week is hospital appointments Monday (08/21) through Thursday (08/24) and Saturday (08/26), and select Concierge Critter Care home visits available on Tuesday and Thursday. Please email or call us with questions or to make an appointment. We are extremely pleased to announce we will be opening the end of next week (08/19/17) or the beginning of the following week (08/21/17). We are waiting on a paper from the city following our inspections. We anticipate getting this early next week. Of course this exciting news also brings additional capacity for everyone to schedule appointments. There are a limited number of home visits that one team can do in a single day. That same team can see 2-3 additional patients in the same time as a single home visit in most cases. Given the amazing demand for Dr. Moore and her team to see patients, we welcome the additional openings for wellness and sick appointments. We will be integrating home visits and hospital visits into our regular River Valley schedule. There will be morning and afternoon appointments for both home and hospital visits to suit everyone's preference. Everyone at River Valley has been especially busy these past few weeks. The end of last week brought our much anticipated and very overdue driveway and parking lot paving. This immediately made a huge visual impact to the property for those driving past the hospital. This week, after the rain, we got our sidewalk paved and curbing was done on the driveway and parking lot. Then, we had the line painting done and now the areas are seeded and covered with hay. We have 14 parking spaces including the van-accessible handicap parking space, and a really large loading zone. Our regular parking spaces are even wider than standard. That will make getting your critter out of the vehicle a little easier. There are so many other things that have happened since our last update, such as installation of fire extinguishers. Today, we had our final building inspection, and tomorrow we have our certificate of occupancy inspection by the Fire Marshal. Our family of robins has fully fledged the 3 baby robins and are now gone. We are thrilled to have hosted the start of 5 young robins at our facility. We look forward to maybe being lucky enough to host more robins next time. Everyday there are new changes at the farm. New deliveries, outside construction, inside detail work are all getting us ready to open in August. We have some new photos to share of our outside progress, here. Our three hatchlings are doing well. We are now booking hospital appointments for August and September. We were scheduled for getting the asphalt for the driveway, parking lot, and side walk this Friday, but there is another item that needs to be handled prior to the asphalt. That timeline realistically would have allowed us to open for appointments on July 31st. Now, it is looking more like the week of August 7th for River Valley to open for appointments. As we get closer to opening, we will be contacting clients with existing mobile appointments to offer the option of switching to a hospital visit instead, as everyone is interested in seeing the new hospital. We are not going to stop offering Concierge Critter Care home visits. This is very much a part of River Valley Veterinary Hospital and the care plan of Dr. Moore. In fact, in the future, you will not see River Valley offering less options for veterinary healthcare, but more options, so please check back to see what is going to be announced. This evening there was a ton of activity on the property. We had lots of lightning bugs putting on quite a display. The third robin egg has hatched and everybody seems to be doing well. That is five eggs that have hatched this year at "The Farm". We are very excited to have a place that is so welcoming to wildlife as the site of our veterinary hospital. The farm? Yes, "The Farm" is our long established nickname for the property. It has been used so often amongst the inner circle of folks who knew about the plan to open a veterinary hospital, that we often forget that everybody doesn't call it that. So, now that you know, feel free to call it "The Farm". The construction equipment has been in full force getting us ready for new asphalt, probably early next week. The outside is really starting to take its final shape. The inside continues to get details added or finished room by room. An amazing amount of shipments continue to arrive daily with some assembly required. Actually, some items require a vendor technician to do setup and installation with specific model training to follow. We love training at River Valley, especially when it gives us the means to do an even better job diagnosing and treating our clients. We celebrated a year of Concierge Critter Care home visits with a very full day of CCC appointments, and a lot of excavation work. We were so happy to have such a great day celebrating. There are some pictures to share, here. As we look back on all that has been done, we are especially glad to have gotten one contractor recommended to us. Bill Fassbender of Fassbender Builders is our general contractor. He is a fantastic carpenter with tremendous experience and a network of sub-contractors who can produce quality work. Bill has come up with many construction solutions saving us both time and money in our hospital construction project. He may be reached at 203-305-1256. Happy one year work anniversary to Tiffany! This week is very special at River Valley. In addition to the holiday and Tiffany joining our team, we also started our first Concierge Critter Care home visits on July 5, 2016. One of the last items that will be done before we open is the asphalt for the driveway, parking lot, and sidewalk. Our canine friendly ramp is complete, and waiting to be joined to the upcoming sidewalk. We have taken down some trees to make room for the parking lot and our wetlands protection design area. Don't worry, there are still so very many happy trees (Both Andy and Melissa have watched more than their fair share of Bob Ross Painting on TV, so some of you will understand) on the property. Everything will blend in with the existing natural setting that we all enjoy about the property. There is currently a backhoe sitting on the driveway. Some artistic magic with dirt will be happening soon. We are very excited! In other news, the empty robin's nest wasn't empty for very long. 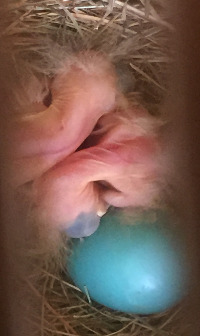 Dr. Moore discovered two new blue eggs in the previously abandoned nest. And, the next day, a third egg was there. We think it is the same mating pair of robins. How fun is that? We will hopefully get to experience another brood of robins, very soon. The robins are doing well. They are active and getting big from the little we can see. We have some new robin pictures along with some pictures of new friends and some old friends, too. Construction has been really moving. It seems like the building and property has a nearly endless stream of contractors getting us ready to open our doors. Coordinating all of this activity can be challenging at times, but at the end of the day, it is very gratifying to see all of the various projects getting the finishing touches. It wasn't that long ago we had newly framed walls waiting for plywood sheathing and a roof to be framed. Let's all hope for sunny days to keep our construction projects on schedule. We welcomed Harriet's kids into the world. She built a nest at the hospital and both of her eggs hatched! We are trying to give her and the father lots of space to raise their little robin family. We do have some pictures of the cute blue eggs, and the not so cute hatchlings. We seem to get a lot of wild animals visiting the property. The other day, a deer paid us a visit. We are a bit surprised as we would have thought the construction activity and the noise would have been somewhat of a deterrent to them. Maybe like everyone else they just want to see how the project is coming along. We hope they won't be offended when they find out we exclusively treat dogs and cats. All of us at River Valley have been working very hard to get ready to open the hospital. Despite this, some things like lots of rainy days, have managed to put us behind schedule for a Spring 2017 opening as we had hoped. We are currently anticipating welcoming you to our new facility in July. We are amazed at the number of boxes of equipment and supplies that arrive on our door each day. This is matched only by the flow of construction contractors getting us ready to open our doors to you. Dr. Moore has insisted on some elements in our hospital design that are going to make visits to our hospital better for clients and especially for our patients. We know you will love it, and we really look forward to being able to show you all in person. Recent photographs of the progress at the construction site. We have included some exterior photographs and one photograph of our newly built, but still not fully finished reception room. We will add some other interior photos of the hospital as the finish work is getting completed. Dr. Moore's hospital facility, located at 88 Sodom Lane in Derby, CT, is currently anticipated to open on June 20th. We still have lots to do to get ready, but we have made fantastic progress with a big project that we are all so proud to be part of bringing to you. We hope you will enjoy seeing the sneak peek photos each week as we work on our final checklists to get ready to open. A Full Dose of Vaccination Facts There has been a lot of interest in the news and on social media about vaccinations. It is a common question as to why both large and small dogs get the same amount of vaccination and why it is not adjusted based on the animal's size. The amount of antigen in the vaccine is the minimum amount required to provide protection. The antigen is what stimulates the immune system to protect your pet against a certain virus or bacteria. Therefore in giving a "half dose" of the vaccine, you cannot guarantee that your pet is going to be protected against that particular disease. This was emphasized and confirmed by Richard B. Ford, DVM, MS, DACVIM at the Western Veterinary Conference in March 2017. Dr. Ford is a board certified internist and co-author of the 2013 Canine Vaccination Guidelines Implementing the Protocol, 2011 American Animal Hospital Association Canine Vaccination Guidelines, and the 2013 American Association of Feline Practioners Feline Vaccination Advisory Panel Report. Modern vaccines are very safe. Do reactions to vaccines occur? As you are introducing something foreign into the body, a reaction to the vaccine is possible. However, they are very uncommon and if they do occur, it is most often mild lethargy or pain at the site of the injection. More serious but rare complications include hives, facial swelling, vomiting, diarrhea, and difficult breathing. Vaccines are generally administered on a yearly basis or every 3 years depending on the type of vaccination. Puppies and kittens generally receive boosters every 3-4 weeks between the ages of approximately 6 weeks and 20 weeks. This is because puppies and kittens receive immunity from their mother and because every baby is different, we do not know exactly when that immunity lapses so we want to ensure they are well protected. Do certain vaccines last longer that 3 years? It is possible they do. Unfortunately, we do not have the studies to prove that in many cases and therefore, we feel it is more important to re-booster the vaccine to ensure your pet is well immunized against those diseases. If you would prefer giving vaccines less often, you can consider having a titer run on your pet. This is a blood test that helps your veterinarian determine your pets antibody levels against a particular virus, which can help indicate protection. Because rabies is a fatal disease of mammals including humans, titers for rabies vaccines are not accepted legally as proof of protection; vaccination is required by law. While not without some risk, vaccines save lives. We encourage you to discuss any concerns or questions you have with your veterinarian rather than basing your opinions or decisions solely on media reports and conjecture. For us, 2016 was fun, challenging and successful. We got to personally help so many animals. So many great things happened in 2016, and we have already shared so many of them with all of you. As we look back on the previous year and make plans for 2017, we have two new things to share. 2017 will begin with growth. A new employee will be joining River Valley later this month. We are very excited to be able to announce this less than 6 months after seeing that first Concierge Critter Care appointment. In 2016, continuing education was an area where we focused. We have liked the results, so far, and we know this will continue to yield great results in 2017. Part of that continuing education involved Fear Free. Fear Free Certified Professionals utilize proven methodologies and techniques to address and hopefully, reduce or eliminate the fear, anxiety, and stress most animals experience when receiving veterinary care. There is currently a very small percentage of Fear Free Certified Professionals in the the state of Connecticut relative to the number of veterinarians and also as compared to veterinary staff. Fear Free will undoubtedly become the standard of care in veterinary medicine within 5 years. Dr. Moore and River Valley Veterinary Hospital do not want to wait that long to bring this necessary component of veterinary care to our patients and clients. We wish all of our colleagues throughout Connecticut and across the country would make this available in their practices, and they will, eventually. We are announcing this today, but we have already begun using Fear Free in our Concierge Critter Care home visits. We love the results, and we know you will love them just as much. 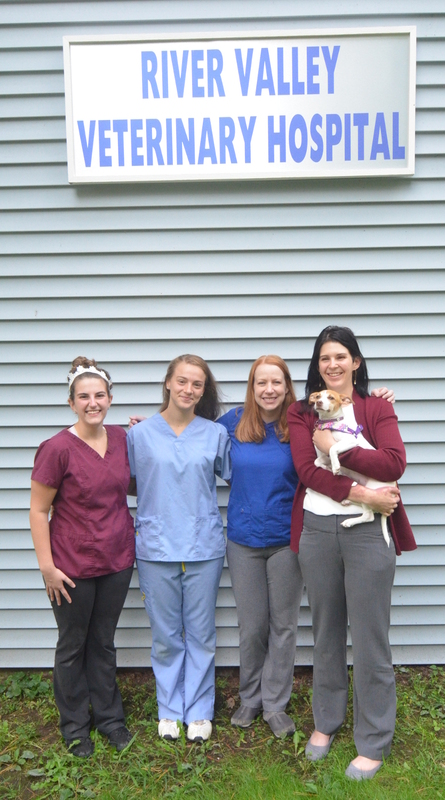 At this time, River Valley Veterinary Hospital is the only provider of veterinary care home visits in the state of Connecticut featuring Fear Free Certified Professionals on the veterinary staff. Both Dr. Moore and Tiffany are Fear Free Certified Professionals. What does it cost to have a Fear Free visit? Fear Free is now incorporated into our Concierge Critter Care home visits, so the Fear Free techniques and benefits are already included in the exam. Why have we not heard about this before? Individual Fear Free professional certification launched on March 31, 2016. What do clients need to do to help with Fear Free visits? There are some steps clients can take prior to the visit that will assist with the process. It really does depend on the particular animal, so that is a quick discussion with Dr. Moore before the first time we are going to use Fear Free techniques with a patient. How effective can Fear Free be for eliminating fear, anxiety, and stress? It does depend on the particular patient, but when using Fear Free techniques, every patient will have a more positive experience with veterinary care that will exceed all prior visits using yesterday's techniques. Where is the nearest Fear Free certified veterinary hospital? The Fear Free Practice Certification Program is anticipated to begin sometime in 2018. Until then, only individuals can be certified as Fear Free Certified Professionals. Where can I find veterinary care that offers Fear Free Certified Professionals in my area? Some recent photographs of the progress at the construction site.